And another pair of socks is finished. This time it's the September 2016 colorway from The Loopy Ewe. 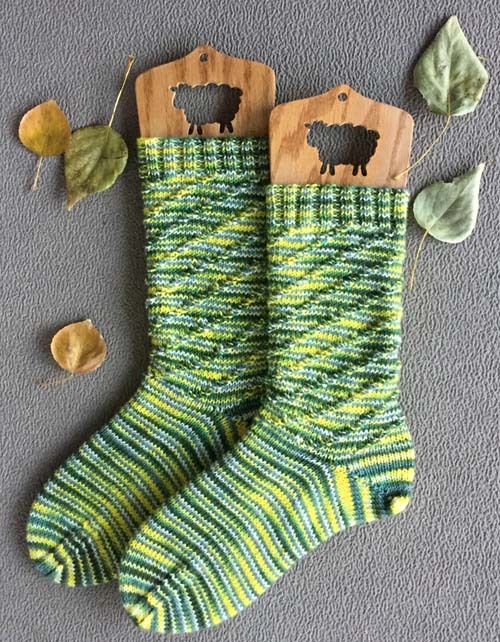 If I can knit quickly, I just might have the October socks finished by the end of the month. I'd cross my fingers, but that's counter-productive to knitting. a circular rib on the leg, short row heel, stocking stitch foot, shaped toe. The pattern for the leg is on my Ravelry page. Each month The Loopy Ewe offers an exclusive colorway. This one is from September, 2016.